This charming Millstream cottage sits above the ever-babbling Powder Creek, which runs through the heart of Walnut Cove's Millstream Cottage neighborhood. 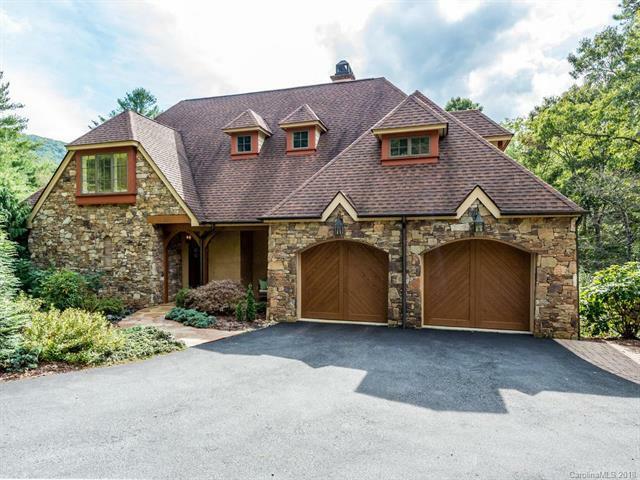 Designed by famed Asheville Architect, Robert Griffin, this home's European styling nestles perfectly amid the hardwoods and laurel yet maintains convenience to all of Walnut Cove's amenities, as well as Avery Creek Road and Hwy 191. This home is newly remodeled with all new stainless kitchen appliances, many new light fixtures, and fresh paint. Walking distance to the 18,000 sq ft wellness center and just minutes from the Jack Nicklaus signature golf course. Membership available.